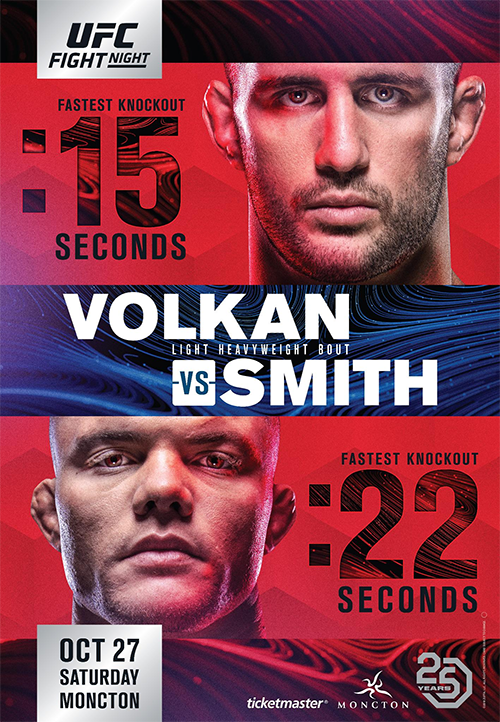 UFC Fight Night 138: Volkan vs. Smith is an upcoming mixed martial arts event produced by the Ultimate Fighting Championship that will be held on October 27, 2018 at Avenir Centre in Moncton, New Brunswick, Canada. While the UFC has hosted many events across Canada, the event will mark the promotion's first visit to New Brunswick. 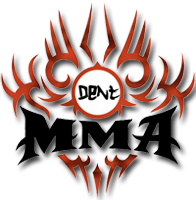 A light heavyweight bout between former UFC Light Heavyweight Championship challenger Volkan Oezdemir and Anthony Smith will serve as the event headliner. Zubaira Tukhugov was scheduled to face Artem Lobov at the event. However, it was reported that Tukhugov was removed from the fight due his role in the UFC 229 post-fight melee. Lobov is expected to face Michael Johnson at the event. Gavin Tucker was scheduled to face Andre Soukhamthath at the event. However, Tucker pulled out of the fight in early October citing an undisclosed injury and was replaced by promotional newcomer Jonathan Martinez. Soooo excited for this card. Anthony Smith is one of the most exciting fighters I have seen in a long time. And VO is no Push over. So this should be a war! Gonna be nuts!! !